Oct. 11, 2016 – San Diego, CA – “No changes in rivaroxaban labeling … are warranted. No other major regulatory action should be taken with respect to rivaroxaban,” the U.S. Food and Drug Administration said regarding Xarelto and the controversies surrounding the key clinical trial that led to the drug’s approval five years ago. The FDA announced today that the inaccurate results provided by a blood monitoring device during the ROCKET AF trial did not substantially affect the trial’s results. Consequently, the FDA said it would not change its recommendations for the blood thinning drug rivaroxaban, marketed as Xarelto. 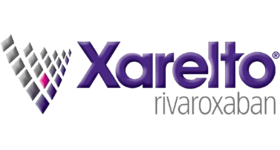 Xarelto is indicated to reduce the risk of stroke and systemic embolism in people with a heart condition called non-valvular atrial fibrillation. It has been the subject of thousands of lawsuits alleging the oral anticoagulation drug caused serious and sometimes deadly bleeding episodes in many patients. There are more than 10,700 lawsuits pending in federal court in the Eastern District of Louisiana against the makers of the drug, Janssen Pharmaceuticals (a division of Johnson & Johnson) and Bayer Healthcare. Xarelto stirred up even more controversy this year when the prestigious medical journal BMJ accused Janssen of withholding critical trial data from the FDA and the New England Journal of Medicine, which first published the results of the ROCKET AF trial in 2011. The BMJ issued a press release late last month accusing Janssen of withholding information about the blood monitoring device used to determine how much warfarin to give patients in the control arm of the study that eventually led to the approval of Xarelto. The device, the INRatio Monitor System, was first recalled by its manufacturer Alere, Inc. in December 2014. Less than two years later in July 2016, the device was pulled from the market indefinitely. The device was apparently providing inaccurate results and some patients were given too much of the traditional blood thinner warfarin during the ROCKET AF trial as a consequence. Doctors and researchers worried the results of the trial could be skewed in Xarelto’s favor since patients who took higher-than-needed doses of warfarin were subject to more bleeding episodes. “The rationale for the recall raised the possibility that patients in the warfarin arm of ROCKET were over-anticoagulated as a result of use of the INRatio device, potentially distorting the results of the study by increasing the rate of bleeding in the warfarin arm. This might include an increased rate of hemorrhagic stroke, a component of the primary efficacy endpoint. These distortions would tend to bias results in favor of rivaroxaban in comparisons of bleeding rates vs. warfarin, and possibly also bias the primary endpoint in favor of rivaroxaban,” the FDA wrote in a review of its ROCKET AF re-analysis. The agency’s re-analysis was based predominantly on data retrieved from a substudy conducted during the ROCKET AF trial. The substudy sent blood samples taken at 12 and 24 weeks to a Duke University laboratory to be tested, and those results were compared against the results provided by the INRatio device. The FDA said about 87% of the 7,125 patients in the warfarin arm of the ROCKET AF trial had blood samples tested at the Duke University laboratory. Janssen reportedly notified the FDA in September 2015 that the INRatio device could have affected the results the ROCKET AF trial. The BMJ, however, accused Janssen of knowing “early on” in the trial about the faulty INRatio device. An investigation by the journal reportedly found that Janssen knew about concerns over the device and launched a safety program to check the accuracy and reliability of the device’s readings. But Janssen failed to share those data with the trial’s safety monitoring board, Bayer and the FDA prior to the drug’s approval, according to the BMJ. The results of the ROCKET AF trial were published in the New England Journal of Medicine in September 2011 and Xarelto was approved by the FDA that same year. If the BMJ’s investigation is correct and Janssen “knew early on” about the faulty device, it means Janssen kept the information under wraps for at least four years. One of the key researchers on the ROCKET AF trial, Dr. Robert Califf, is now the head of the FDA. He stepped up to the position of commissioner of food and drugs for the FDA in February 2016, the same month the BMJ first raised questions about the trial that led to the approval of Xarelto. Califf not only acted as researcher for the Xarelto trial, he served as professor of medicine and vice chancellor for clinical and translational research at Duke University. He was also the founding director of the Duke Clinical Research Institute, which was hired to conduct the ROCKET AF study by Johnson & Johnson and Bayer. This apparent conflict of interest could be one of the many reasons why some doctors and researchers are calling for independent trials and data transparency to assess the safety and efficacy of Xarelto.